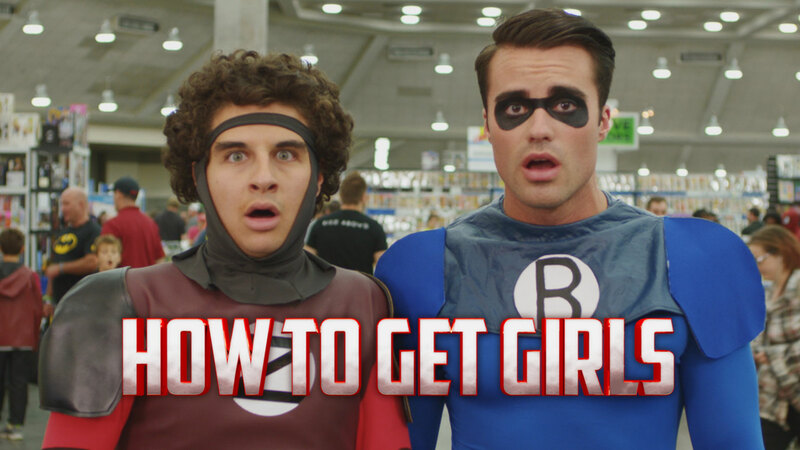 HOW TO GET GIRLS is a teen comedy from first time filmmakers and millennial’s Zach Fox and Omri Dorani. It’s a story about two misfit kids and their quest for popularity: “It’s raunchy, absurd, and tragically true,” according to Fox. The story centers on Zach and Ben, two childhood best friends with a dream—to create their own comic book. When Ben is forced to move with his dad to Antarctica the two make a vow: They will finish writing their comic book and get it into the hands of their hero, Marvel creator Stan Lee. After five years, Ben returns looking like a total stud but thinking like the geek he’s always been. Zach decides to use Ben to do what he once thought impossible—get girls. In the process he learns a valuable lesson; friendship is more important than anything else.